Hey guys! It’s time for another holiday recipe. 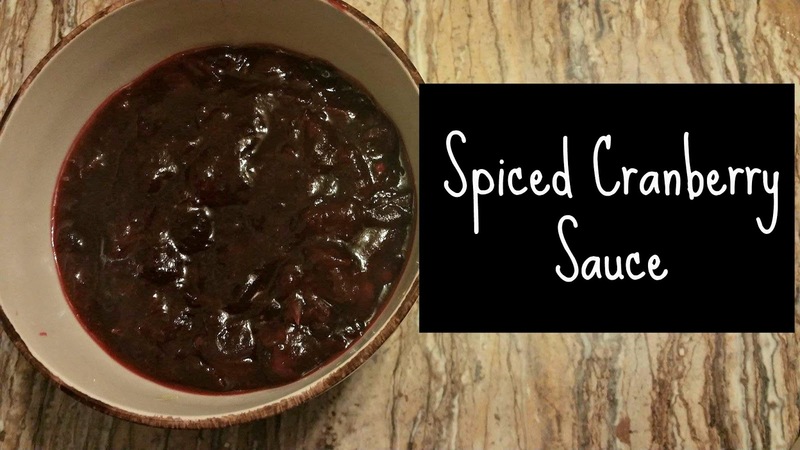 For me, cranberry sauce has always been a staple in my holiday dinner. My Mother used to buy a much of the canned jelly cranberry sauce and she would always have it on the table as part of our holiday meal. For the longest time, I thought that this was the only way to have cranberry sauce. One year I decided to make cranberry muffins and this was the first time I had ever dealt with “real” cranberries. I learned how to do different things with cranberries in culinary school, but they did not make a big comeback in my life until a few years ago. My Step-Mother's Mother (Step-Grandmother?) 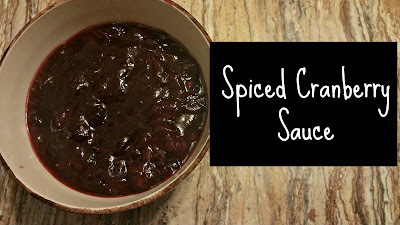 makes the best cranberry sauce! Hers is great because it is not over sweet and complements everything else served at the meal. Although, this is not her recipe I promise that this recipe will not disappoint. This is my go to cranberry recipe because of its flavor profile. It has the sweetness that we have all come to know and love as well as a nice depth of flavor. I do not know about you but adding alcohol into something makes it taste so much better! Also, do not be worried about sharing this with your underage family members or drivers. The alcohol cooks off! The best part about this is that you can cook this a few days ahead of time! It stores nicely in a mason jar in the refrigerator. I have kept it for up to a week before. In this recipe, I used maple syrup but this is because I do not eat honey. You can use any liquid sweetener in its place if you do not have any. The alcohol is optional, but I really recommend using it. It ad’s a really nice touch on the dish. Besides that, this is a really straight forward dish, this would be a great recipe to try if it is your first time making it from scratch. I hope you all are having a wonderful week, and that you have a wonderful holiday season! I love to hear your feedback and suggestions! Did you make this differently? Did you love it? Suggestions on how to make it better? Let me know in the comments! I will respond to any questions or comments you any have.